Roger Federer is in the Australian Open final. Yes, for many, many years, he stood tall, winning 17 Grand Slams, beginning 2003, when he won Wimbledon. Nearly 14 years later, he is still there, having a great time.Either way, he will face his good friend, Rafa Nadal, who overcame Grigor Dimitrov in nearly five hours. In 2009, they played each other in a final, when the Spaniard took him in five classic sets. Will it be another amazing match? That’s possible, but as Nadal said, things have changed. That are older and wiser. said Nadal, who has won 14 Slams. In July last year, both men were hurt. Federer stopped playing the rest of the year. Nadal stopped in the fall. Now Federer is pretty healthy and raring to go. Nadal will recover on Sunday night as he will have 43 hours to rest before he will walk on court. Federer beat two top 6 guys, Kei Nishikori and Stan Wawrinka, in five sets. Apparently, his legs are strong. At some point you reach a limit, and you just can’t go beyond that. You can play them tight. You might win one of them. You just can’t win back-to-back. Just not feeling free enough, in your mind, in your body. Late at night on Friday/Saturday, Nadal was tired, very tired. Those two have played many times, but things have changed, or that’s what Nadal says. Venus Williams and Serena Williams will face off in the 2017 Australian Open final, as Venus overcame CoCo Vandeweghe 6-7 (3) 6-2 6-3, and Serena crushed Mirjana Lucic-Baroni 6-2 6-1. The famous sisters have been playing for a very long time: Serena won her first major in 1999, while Venus grabbed it in 2000. They’ve faced off 27times over the years, with Serena 16-11 versus Venus. Clearly, Serena is better, winning 22 Grand Slams, and Venus winning seven majors. During the last four times at the Grand Slams, Serena beat Venus at the US Open and Wimbledon, twice. But, in 2008 in the Wimbledon final, Venus took Serena down. It seemed like Venus would win majors year after year, but she didn’t. Serena did, having racked up numerous majors in the last few years. Now, one of them will win on Saturday. Combined, they will be 30 Grand Slams. Here is the story at 2008 Wimbledon between the sisters. On Friday, another piece of the sisters, the 2003 final at at the Australian Open. WIMBLEDON – Venus Williams said it all with a shy smile. She had just won her fifth Wimbledon championship. Inside, she was bubbling with joy, but on the outside, there was no in-your-face, wild celebration. No, not with her little sister Serena standing a few feet away, visibly upset after Venus handed her a 7-5, 6-4 defeat in a final where Serena clearly looked like the younger sibling who couldn’t find the golden key to unlock Venus’ treasure chest of All England Club secrets. Just how could Venus defend one break point after another, come up with untouchable serves, sure-handed volleys and blitzing groundstrokes whenever Serena seemed prepared to seize control of the match and win her third title? Why does Venus play so much better on the sleek green lawns, when outside of the historic club, she has looked oh-so-vulnerable since ’01, failing to win another major on hard or clay courts, while Serena has proved herself to be a better all-around player, winning majors on every surface? As terrific a server and returner as Serena is, Venus trusts her heater and slice serve more, especially with her second serve. She is a more accurate and intelligent returner, swarms the net with more confidence and can hold her own from the baseline against her sister’s clean, deep and mostly accurate strokes. Every other elite player should play close attention to how Venus intelligently approaches the lawns. No. 1 Ana Ivanovic was low balled out early by China’s promising Jie Zheng, ’04 champ Maria Sharapova was bullied by cocky Russian Alla Kudryavtseva, No. 2 Jelena Jankovic was roughed up by 31-year-old Thai Tammy Tanasugarn and No. 4 Svetlana Kuznetsova was tripped up by Polish teen Agnieska Radwanska. But Venus and Serena, who held Wimbledon six combined titles entering the finals, never faltered. In the semis, Venus outlegged Elena Dementieva in and Serena aced her way past Zheng. Serena had jokingly said before the final that she would eat Venus’ breakfast, but all she ended up doing was crying over spilled milk. Venus got in trouble early in the first set and went down a break, but then smartly stepped in closer on her returns, cutting off Serena’s angles. Serena held 13 break points in the match but was only able to convert two. She lost a remarkable 17 of her 22 second serve points, which put her under tremendous pressure every time her swerving wide serves or bombs down the tee didn’t find the box. Serving at 5-6 in the first set, the eight-time Grand Slam champion fought off a set point with a searing backhand crosscourt winner, but on the next one, Serena dumped a backhand to the net and smacked her racket to the ground after handing her sister the set at 7-5. The crisis hadn’t been averted. It was full on. “She lifted the level of her game and I should have lifted mine, but instead mine went down,” Serena said. Serena sealed her own fate in the fourth game of the second set. After finally breaking Venus on her seventh break point with a forehand winner to go up 2-1, Serena failed to consolidate and was broken back when she erred on a forehand. Then the clock began to tick more quickly, as Serena strained to contain her groundstrokes and to figure out just how she would continue to hold while Venus was sprinting around and playing more freely. No such solutions would come into her head. Venus gained a match point at 5-4 after a beautiful defense-to-offense rally. Serena scalded a service winner on the first one, but on the second one, she was pushed onto her back foot and flew a backhand well wide. “I’m thinking, ‘Oh, my God, it’s five. Wow,'” Venus said of the moment of victory. Venus secured her seventh Grand Slam title overall, tying her with just-retired Justine Henin and putting her just one behind Serena. She became just the third player in the Open Era to win five or more titles. She’s four crowns behind all-time leader Martina Navratilova and two behind Steffi Graf, who are widely considered the two finest all-around players ever. That’s some kind of company to be in. What the rest of the Williams family would really like is for the two sisters to face off in more Slam finals, but if history proves to be an indicator, there aren’t many opportunities left. The ’08 Wimbledon final was the first time that that they’ve faced other in the finale of a major in five years, and given that the 28-year-old Venus hasn’t reached the final of a hard court major since ’03, it might not be until Wimbledon ’09 when the siblings are staring at each again with all the major chips on the line. If that’s the case, it will be too bad for the sport. The ’08 final was played at the highest level of any of the 16 career contests between the sisters. The sisters, like the rest of the elite players, have a heavy summer schedule ahead. Along with Aussie Open champ Sharapova and French Open victor Ivanovic, they will contest the Olympics (Venus was the 2000 gold medalist) and the U.S. Open, which starts a couple of days after the curtains are drawn in Beijing. It’s possible that in New York, the sisters will be placed on opposite sides of the draw, and if they play as well as they did in England, they may be able to stop the European title streak there – now running at five straight years. While fans on Centre Court politely clapped during their delightful clash, U.S. fans are sure to be more emotionally involved watching their countrywomen write another chapter in the rare spectacle. “I would love that,” Venus said. AUSTRALIAN OPEN, Jan 23 — Roger Federer is 35 years old, and hasn’t won a major since 2012. But he does have won 17 Grand Slams — a record. Last year, for the first time, his body was breaking down. After he lost at Wimbledon, it was time https://www.viagrasansordonnancefr.com/ou-acheter-du-viagra/ to go home. He played with his little kids all the time, but he was also training hard. When he came in January, he was excited and strong. Federer was ready to roll — again. He overcame Kei Nishikori in the fifth set — 6-7(4), 6-4, 6-1, 4-6, 6-3 — at the Australian Open in the fourth round and is feeling fantastic. He was so excited. Imagine that. Nishikori, who is ranked No. 5 but has never won a major, did attack as much as he could. He smacked his two-handed backhand as aggressively as he could, but the one-handed backhand from Federer was kissing the lines. “You’re kind of mentally prepared for it. If I [didn’t] know Kei, ‘let me see how his backhand is,’ ” Federer said. “Every time it comes in flying really quickly with a lot of angle, a lot of pace, I would be caught. I would probably lose because I wouldn’t have expected it. “Because I know Kei now, I’ve seen him a lot of matches, it helps. I think it’s wonderful how he can wait till the last moment to change direction, also the way he finds angle cross-court. He’s one of the few that can actually do it with power. His left hand must be very strong. He wrestles the ball there. Federer does like Australia quite a bit. In 2010, he blitzed the excellent players, whipping out Jo Tsonga and Andy Murray to win the events. However, after that, the Swiss was unable to win the tournament again. Novak Djokovic began to dominate, winning and has won six titles in Melbourne. But Novak was stunned a few days ago, the same goes with Andy Murray on Sunday. Maybe Federer can win a major again, but it’s not easy when you are a little slow. The older you get, the slower you are. Federer and the 14-time Grand Slam Rafa Nadal could face off in the final, but they both have a long way to go. 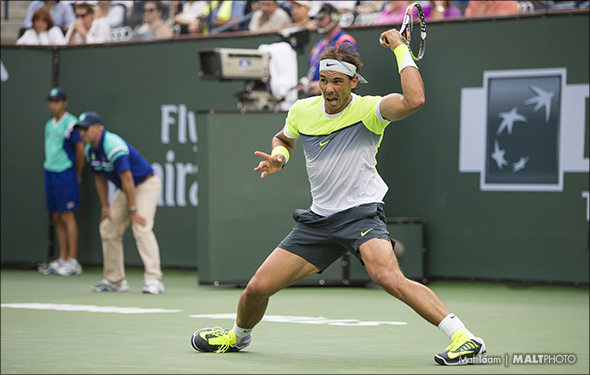 Nadal moved another step closer, knocking out Gael Monfils in four sets Monday. In 2014 in the semis of the Aussie Open, Rafa yanked him around and won in three sets. In 2012, the Spaniard cracked Federer in the semis in four sets. In 2009, Nadal won the event, overcoming Fed in the final, 7-5 3-6 7-6(3) 3-6 6-2. If they meet, maybe Federer can change the tactics? But first, he has to beat Mischa Zverev and then very likely, Stan Wawrinka. Australian Open, Jan 22 ­– Svetlana Kuznetsova has been there before, losing early, or winning a whole thing. She won a spectacular victory, overcoming the intense Jelena Jankovic. But on Sunday, she froze, and lost against another veteran, Anastasia Pavlyuchenkova. More than a few years ago, the Russian Pavlyuchenkova looked like she was going to win a major, someday. Since then, she has looked very decent, but not great. The good thing is that she has managed to reach the quarterfinals, but she has yet to reach the semis. Good, but not fantastic. Pavlyuchenkova has played nine years at the WTA Tour. The 25-year-old reached No. 13 back in 2011. She can be aggressive, but she is a little slow. In 2013, she felt great. In the off season in November and December 2012, she worked out with Serena Williams. She really likes Serena, and in Brisbane to start the new season in 2013, and they played each other in the final (Serena won). Then at the AO, all hell broke loose. “I was super frustrated. We have played finals in Brisbane against each other. I was in such good form,” Pavlyuchenkova said. “So I was looking forward for Australian Open, and then I arrived here and I was so strong, and I lost to the girl (Lesia Tsurenko 7-5 in the third).. That was super frustrating for me. I think I didn’t handle it. I was really down. The next couple of tournaments and couple of months didn’t go so well, because mentally I was just not there. The key is that she will have to be super patient against the 36-year-old Venus Williams in the quarterfinals. They have played five times, three wins by Williams and two by Pavlyuchenkova. It’s been pretty close. Maybe the tide will turn for the Russian. AUSTRALIAN OPEN, Jan 20 – Caroline Wozniacki looked decent coming into the match. Was this year’s first major the place where she would return to the top of the women’s game. Even though the former No. 1 was aggressive at times, but the Brit Johanna Konta just crushed her in the third round today. Konta jumped on the ball immediately and pressed the action, while Caro didn’t understand how to react. 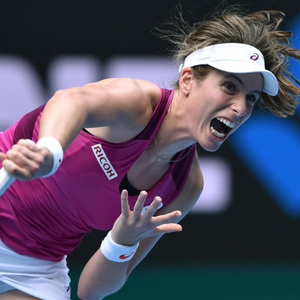 Konta has decided over the past year-and-a-half that she wants to go for it, win or lose. Now, she is ranked No. 9 and should be in the top 5 very soon. She is very dramatic and the 26-year-old has finally believed in herself on the biggest of stages. How about Caro? Later, she said that Konta played very well. Guess what? She thinks her so-called best friend, Serena Williams, could lose against the Brit. Konta just won Sydney, beating Genie Bouchard and Aga Raswanska. Last year, she reached the final at Beijing and won Stanford over Venus Williams. A year ago here at the Australian Open, she reached the semis, upsetting Venus in the first round and survived Ekaterina Makarova 8-6 in the fourth round. Finally she lost to Angie Kerber in the semis. Her coach, Wim Fissette, really helps her now. Konta now knows what to do and she can pull it off. Watch out Ekaterina Makarova, her round of 16 opponent. On Monday, they could play for hours and hours, smashing the ball. Now the famous player Novak Djokovic is gone at the Australian Open, it’s wide open. In there section to reach the semis, there is No. 8 Dominic Theim, No. 11 Davis Goffin, No. 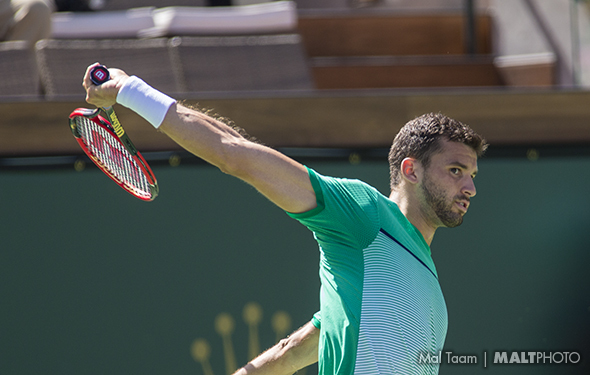 15 Grigor Dimitrov, No. 18 Richard Gasquet, and a few more. But how about the unseeded Denis Istomin, who shocked Djokovic in five long and dramatic sets. Istomin has been on court for a very long time, but if you continue to battle, there are good things that occur. It is doubtful that Istomin will go far. But not Dimitrov, who has played great ball over the last three weeks, by winning Brisbane. It is possible that he can continue to find the lines and reach the semis. A few years back, he reached the final at 2014 Wimbledon. This time, his phenomenal backhand and spin might give him an opportunity to reach a final for the first time. Theim is very young. When he keeps his composure, he could go deep, too. The veteran Goffin is effective, but he has yet to reach a major semifinal. Gasquet has reached Wimbledon twice in the semis, but is he confident enough to deal with the hard courts at the Aussie Open? The good thing is this: in 2003, Roger Federer won his first major. Today, in 2017, he has won 17 Grand Slams. Rafa Nadal won his first Slam at Roland Garros in 2005. He owns 14 majors. Novak won his first title at the majors, in 2008 at the Aussie Open. He now has 12 Slams. Andy Murray has won three majors. The “other” guy, Stan Wawrinka, has won three Slams, too. That is 50 Grand Slams winners for five guys over 13 years. Is there anyone else who is ready to knock them off in nine days? We will see. However the so-called new players are very good, but good enough to go all the way? Karolina Pliskova thinks that she can actually win the title. At the US Open, she reached the final, and she was very close to knock out Angie Kerber. Unfortunately in the third set, Kerber would not give in, she won her second Slam of the year. The Czech had never reached the second week. Even though over the past two years, she could crush the ball. Mentally, the panic set in. When she arrived at the 2016 US Open, she was ready to control herself. 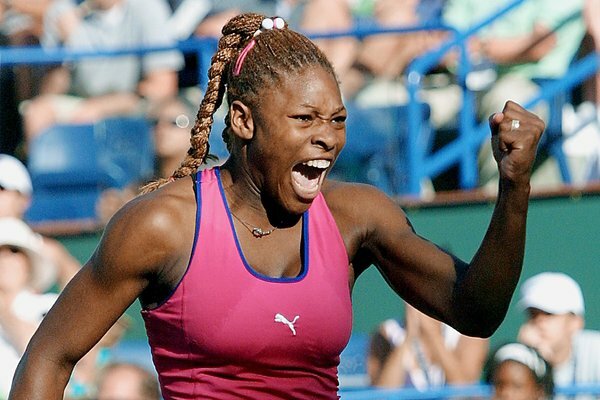 She stunned Venus and Serena Williams — which is rare— and she was so close to winning the title. Since she helped the Czech Republic win the Fed Cup final — again— and two weeks ago, she won Brisbane. The 24 year old believes in herself. She blew out Anna Blinkova in the seond round at the Aussie Open on Thursday. On Saturday, she will face Jelena Ostapenko in the third round, another young player who lives in Latvia. This Pliskova is so confident that she can go for the lines. The Czech knows that many people think that this time, she won’t back off and win it at the Aussie Open. 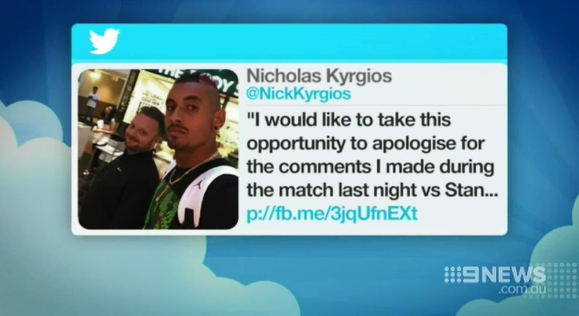 Nick Kygrios’ tweet apologizing for roundly criticized, on-court remarks that Thanasi Kokkinakis had a relationship with Donna Vekic, Stan Wawrinka’ girlfriend. Nick Krygios actually said that he can win the Australian Open. Kyrgios knows that he is very good, but has he ever won the big show, knocking out the legends, those who have reached the finals at the Slams? The finals? No. The semifinals? No. He is a huge hitter, but not everyday. That is for sure. But maybe its time now. The 21-year-old Kyrgios, who crushed Gastao Elias in the first round of the Aussie Open, said that he can win the tournament. Kyrgios said that Roger Federer is the best ever, even though the Swiss said that the Aussie will not win the event. The No. 13 Kyrgios won three events last year: Marseille, Atlanta and Tokyo, but he is mentally up and down. 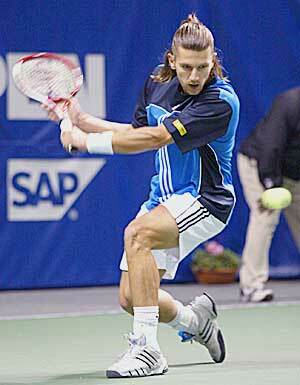 He’d play great tennis, like upsetting top-10ers Tomas Berdych, Marin Cilic and Milos Raonic. Also, he was injured and lost to against a few outside of the top 100 players. Federer said he didn’t think that Kyrgios is not ready to win the Australian Open. Kyrgios beat Federer 6-7, 7-6, 7-6(12) in 2015 in Madrid. That’s just one match. Kyrgios hasn’t won a major yet, while Federer has won 17 Grand Slams. Kyrgios faces Andreas Seppi on Wednesday night. The Aussie should win in both the second and third rounds, but after that, here comes a huge challenge. He could face Wawrinka/Cilic/Tomic/Jack Sock/Jo-Wilfred Tsonga. And perhaps the No. 1, Andy Murray. That, people, is serious pressure. 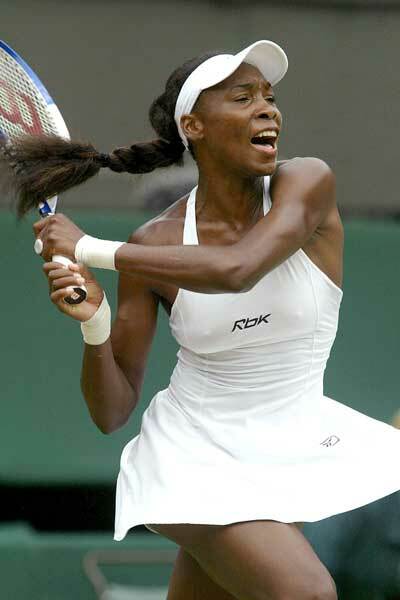 Imagine Venus Williams, who in 1997 — almost 20 years ago — in Oakland, she was super fast, her two-handed backhand was already phenomenal, and she wasn’t scared at all. Flash ahead, it’s 2017 and Venus is still playing. The 36-year-old is still very good, but she is a little slower and while she is very smart, her body is wearing down. She hasn’t won a major since 2008, when she grabbed Wimbledon. Can she win a Slam for the last time? Maybe, but at the Aussie Open? She hasn’t done it yet. But at least she continues to try. Venus has said that Rafa Nadal is brilliant, which is true, but the Spaniard hasn’t won a Slam since 2014. So maybe both of them will come close, but winning again? Well, one more time. At 35, will Melzer deny Federer’s return? 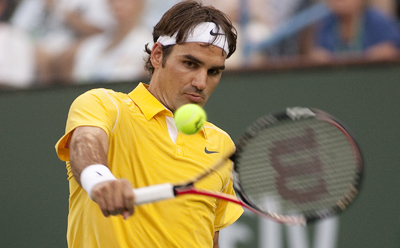 Roger Federer and Jurgen Melzer will face off on Monday night. Both have played for a very long time, with Fed and Jurgen now 35 years old. They have played four times, but only in 2010 and 2011. In 2010, Fed beat him at Wimbledon, US Open and Paris. But in 2011, the Austrian upset Fed at Monte Carlo. Does Melzer have a real chance when he’s now ranked No. 300? Perhaps, given that Melzer was ranked No. 8 in 2011, showing that he could really play. But in 2015 and 2016, he was hurt, badly, and he couldn’t play a lot. Now, it’s his last chance to have glory. But not against Federer, who is super fresh and eager to go far again at the Australian Open.